As a blogger, I get quite a few opportunities that come my way to talk about certain products and share thigns with you guys. I take them if I feel like it’s a product I would use or I would like to use or something I already use. In this case, it was products that I’ve been dying to try but hadn’t gotten around to buying the products myself. So I got to try them out and share how I feel about them with you! Introducing the InfinitiPRO by Conair® Curl Secret® for a beautiful bouncy curl and InfinitiPRO by Conair® Diamond Brilliance™ Diamond-Infused Ceramic Smoothing Hot Brush for a sleek, straight finish. I have been wanting to try the Curl Secret® for a while now. It looked like such effortlessly easy curls! And you know what? It works! Here are the curls after using the device but before running my hands through them and styling them. I always hear about people having trouble with using curling irons or wands. This could be the answer to your curling problems! It’s actually very easy to use. At first I thought that it was supposed to be used on damp hair but once I figured out that it heats and is needs to be used on dry hair, I was on my way. It looks like your hair might get all tangled up in the middle of the thing, doesn’t it? I was so impressed that the second it felt like my hair was gonna pull, the device stopped. It never pulled my hair, it just gently draws the hair and heats it from all directions to create the perfect curl every time. 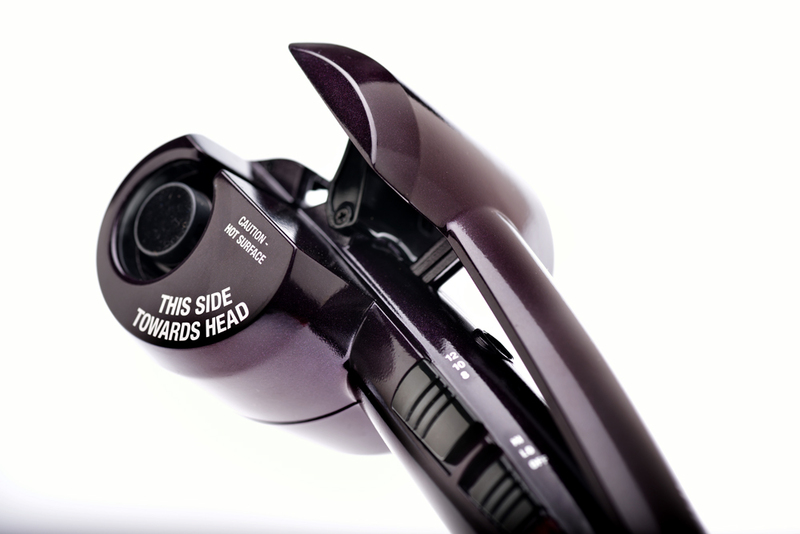 It has tourmaline ceramic coated surfaces which help the hair glide easily through the chamber and eliminate frizz. This also is how it evenly distributes heat. All you do is take a small section of your hair and put it in the device with the opening facing your head and as you close it, the rest of the hair will be drawn in to create a beautiful curl. It’s very simple and the curls are very pretty and last! As you can probably see, the curls go in both directions which is actually really cool for a more natural, tousled look. I have short to medium hair and it worked on mind, however, I do think I would like it better on longer hair. Phew that’s a mouth full! My hair isn’t that curly, so I knew it wouldn’t be a problem. One of the girls on my volleyball team says that she used the same one and her hair is really curly. Here is the before and after using the brush. I don’t particularly like my hair straight, but that has nothing to do with whether or not this brush can do it’s job. It releases frizz-controlling conditioners, which remove static and add visible smoothness and shine. It’s as easy as it looks. You hold the end of your hair in your hand and you run the hot brush through your hair. I love the paddle brush design because it allows for more contact with hair for faster styling. Any time I can style my hair faster, I’m all for it! All in all, I thought they were really cool devices. If you struggle with using a curling wand or a straightener, or want to cut back on time, these would be great for you. They are easy to use and definitely deliver! If you have ever been curious to try either of these like I was, you can grab them at Target, CVS, Walgreens, Rite Aid, Bed Bath and Beyond and ULTA stores, and online at Target.com, Amazon.com, Ulta.com and Walmart.com OR at CurlSecret.com. Looks like you can pick up pretty much anywhere! If you want to keep up with Conair, you can like their Facebook page, follow them on Twitter, Instagram, or even Pinterest! This is a product-provided, sponsored conversation that contains affiliate links. 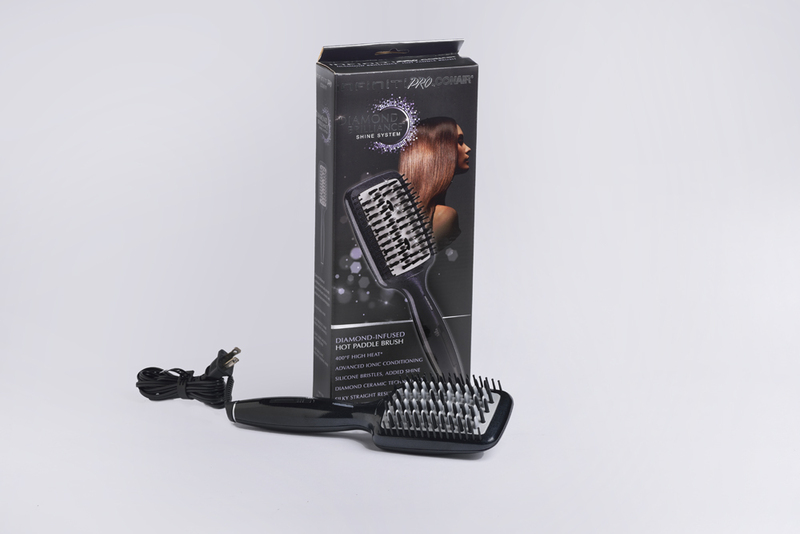 I received the InfinitiPRO by Conair Curl wig Secret and the InfinitiPRO by Conair® Diamond Brilliance™ Diamond-Infused Ceramic Smoothing Hot Brush for my own personal use. All opinions, text and experiences are my own. Hi Natalia, I feel both the curly and straight hair brings their own kind of beauty with them. It depends more on which hairstyle has a better match to one’s face cutting. BTW, both the styles are fabulous and equally elegant. Thanks for the share.